Email marketing remains one of the most popular forms of marketing due to its very low cost, targeted audiences and ease of use. Virtually everybody uses email, and this makes it very easy to reach exactly the right people with your products, services or messages. Unfortunately, all too many brands fail to consider the power that email marketing optimization strategies can provide to their brands’ overall performance levels. Testing your email marketing campaigns is crucial for long-term improvement, something every brand should be pursuing. Below, we’ll talk about the basics of email campaign testing so that you can master these elements in future campaigns. The primary way that people test variations in their email campaigns is through A/B testing. In essence, A/B testing allows you to customize various elements of your subject lines and other variables. Before you can put this to work, you’ll need to enable it. With solutions such as MailChimp, you can easily toggle this function while setting up each campaign. You have decisions to make about how much testing you want to conduct. Are you set on pinging servers with 10 different variations? Do you want to customize just the subject line? If you really want to test how effective your broader pitch is, then it may be worth also tweaking campaign templates and design elements to see if it generates different results. While you’re usually limited to using the same template/design for one specific campaign, you can create multiple campaigns – each with design variants – that are sent to random samplings of your email list. When conducting any type of marketing campaign, determining the audience is arguably one of the most important decisions. For any A/B testing or experimentation in general, you’ll want to determine how best to divvy up your mailing list. 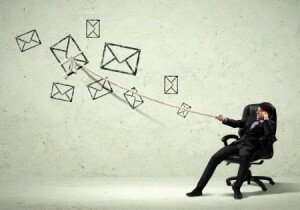 Is the broader campaign aimed at everybody on your mailing list, or just a particular segment? Will you randomize your audience and split them into equally-sized, smaller lists for testing? Questions like these are at the core of any campaign testing effort and must be considered before pressing the send button. Testing different email campaign strategies doesn’t just involve tweaking the subject line and message. You’ll also want to randomize when each person receives the email, as this can help ensure your email is seen by as many people as possible. Most email marketing solutions allow you to split the email into 2 or more batches, each being sent at a slightly different time. Finally, you’ll want to review the data-points collected from each campaign as your campaign goes live. Did any particular subject lines generate more opens and/or clicks? Which version of the email body helped deliver the most purchases? Once you’ve done enough testing of multiple variables, you’ll be able to better generate a comprehensive campaign template when pinging servers and that also delivers optimal results. Testing various email campaign strategies takes time and creativity, but virtually anybody can make progress in a short time period. By splitting your emails, altering a variety of variables, carefully selecting recipients and reviewing your data, you can figure out which strategies deliver the most benefit.